Obviously I had to share my latest favourite pancake recipe with Pancake Tuesday being tomorrow! 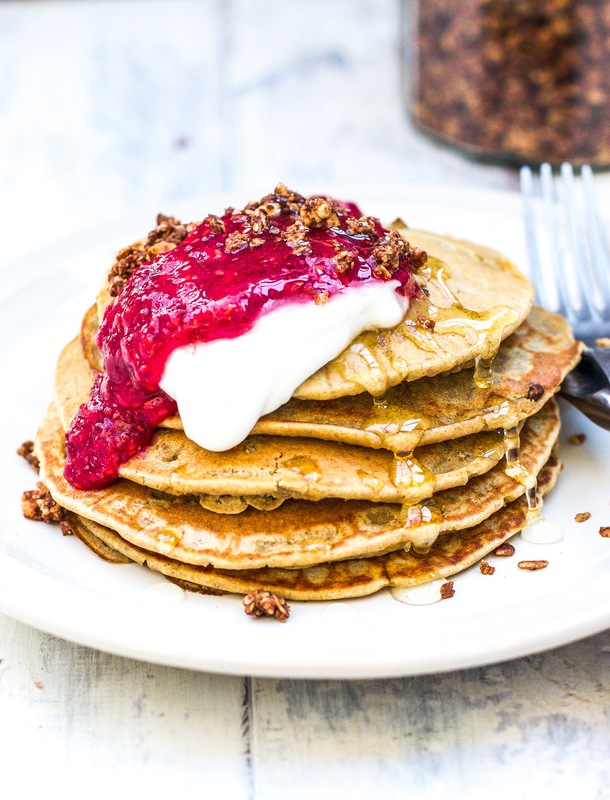 I’m loving oat flour at the moment and these pancakes are just so perfect and easy. 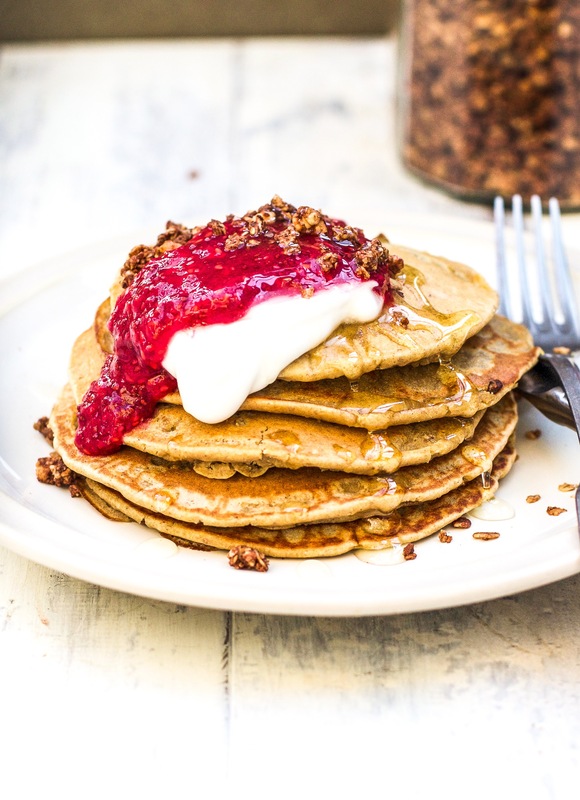 I have mine with coconut yoghurt, chia jam and maple syrup- nothing beats it! Add all of the ingredients to your blender (if using whole oats, just add 120g of them to the blender first, and blend on high until fine- then add the other ingredients). Blend on high until smooth. Place a non stick pan on medium-high heat. Add in about half a teaspoon of coconut oil. When it’s melted, pour about a sixth of the mixture into the pan. Cook for about 30 seconds on the first side until lots of bubbles have formed in the centre, then flip and cook for another 30 seconds. Repeat with all of the mixture, adding a little more coconut oil to the pan as needed. Stack them on top of each other as they’re done to keep them warm. Thank you Indy for all the delicious recipes you post. I have been trying all of them and they never disappoint. I print them out and have put them in a binder and now they are pretty much my go to recipes. I look forward to getting them in my inbox everyday. On several of your recipes, you top them with coconut yogurt and I was wondering what brand you use? Dying to make these I also have done lots of your recipes.Love them all have even shared them out thanks.